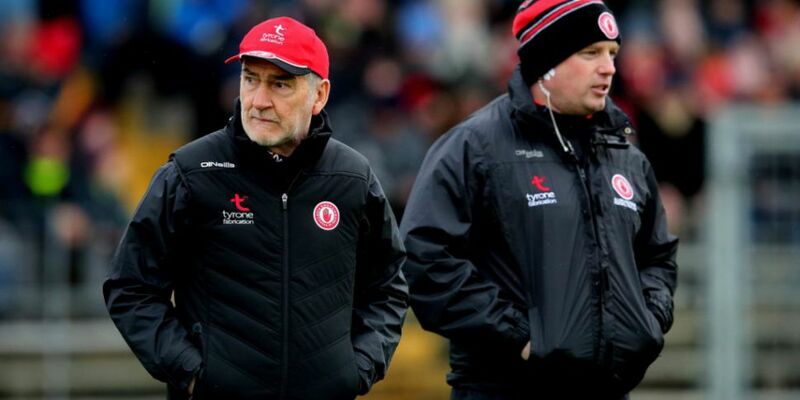 Faced with the unenviable task of a trip to Kerry for their National League opener, Tyrone's Mickey Harte was left mildly amused by the more conservative playing-style of their hosts in an 0-11 to 0-7 win for Peter Keane's side. "It's not something we've seen of them in general terms," Harte commented in relation to Kerry's willingness to keep men behind the ball throughout this afternoon's tie. "Maybe there was a tendency [on Kerry's behalf] to be more aware of that side of the game." Far from bestowing a negative judgement on how Keane had set up his side, however, Harte commended Kerry on putting in a performance that simply proved too much for last year's All-Ireland finalists. "Kerry were better than us," Harte admitted to Off the Ball in the immediate aftermath of this afternoon's defeat. "They played very well, and particularly against the breeze they were very confident and very comfortable." Describing his Tyrone side as "their own worst enemy" in terms of chances they afforded to their grateful hosts, Harte was quick to once again commend Kerry's "intensity and dedication to the task at hand" in forcing those errors. We had a decent year last year, but every game is important and it's important to win as many as possible. Having made it all the way to the All-Ireland final in 2018, Harte remained cautious when it came to laying out his plans for the year ahead. 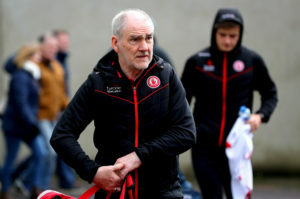 Defeating Armagh in the final of this year's McKenna Cup, the long-standing Tyrone boss nevertheless feels it is too early in the year to announce any grand intentions. "It's too early to be thinking that way at all," Harte stated. "We are a work in progress. We had a decent year last year as it turned out, but every game is important and it's important to win as many as possible." After a difficult trip to Kerry in the opening round of the National League, Tyrone will face James Horan's Mayo in round two. 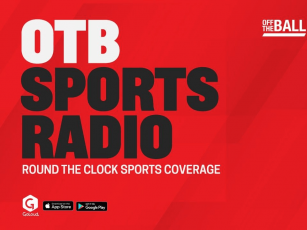 You can listen back to Mickey Harte's full post-match interview with Off the Ball here.